Since I like to car shop for cars I already have, targeted ads aren't very effective. 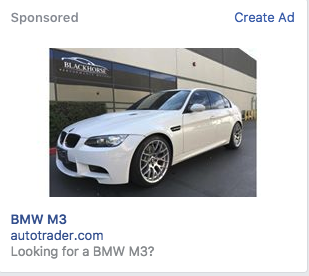 Yes in fact, I am looking for an M3. Oh wait, found it. It was in my garage this whole time.